and soft to the touch. i'm a pillow freak i guess. i like fresh fluffy pillows and change them when signs of flattening occur. these covers are a go to purchase-- but last so well that i launder and reuse frequently! i find them soft and a real pillow salvation as they keep almost anything from soaking through to harm the often expensive pillow inside. my mother likes hair care masks / products that can be worn overnight and even with a protective hair cap-- liquids can leak and ruin pillows-- not with these covers!! if leaks occur-- just gentle machine washing-- dryer drying and replace the fresh cover on your still clean! pillow. i have even given these as gifts with new fluffy pillows for some friends who have less ability to shop with ease. launder before use and expect a longer lasting fresh pillow when covered with these protectors ---also the zippers are decent quality and long lasting. Home territory searches the web to find the best prices and availability on Pillow Protectors and related products foir your home like AllerEase Waterproof & Allergy Zippered Pillow Protector. For this page, related items include products we find that match the following keywords: "Pillow Protector|Pillow Cover" at our vendor partner Walmart - Click More Info / Buy Now to check for price rollbacks!. 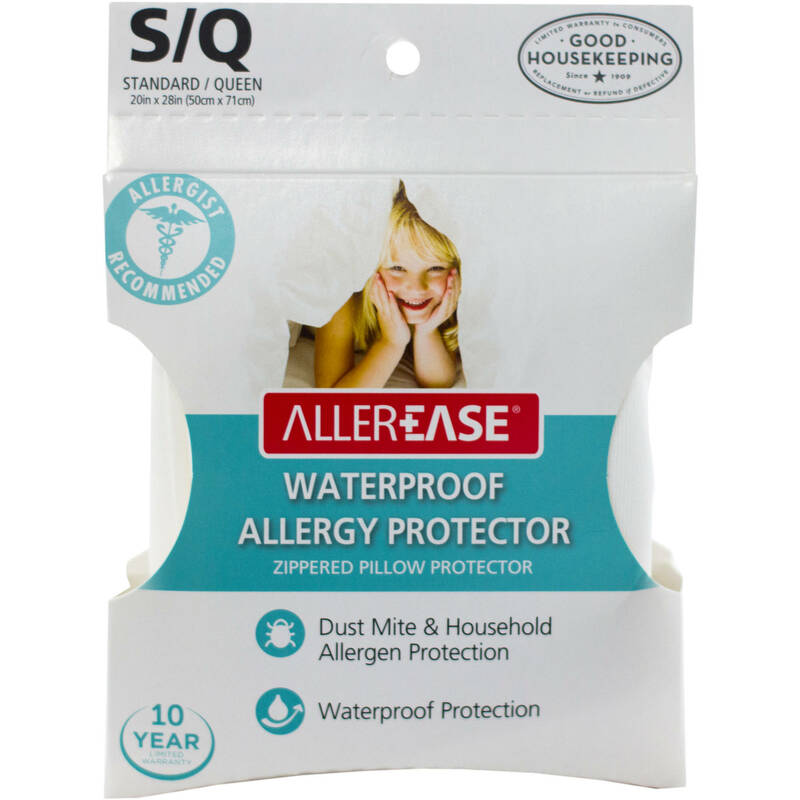 AllerEase Waterproof & Allergy Zippered Pillow Protector is one of 77 Pillow Protectors and related products available for sale through HomeTerritory.com, If you have any questions on this product, please give us a call at 734-971-1210 during the hours of 9am - 5pm EST for assistance. Thank you for shopping at Home Territory, the home furnishings superstore!